After practising for five years as a Neurologist and three years as a Neurosurgeon she started a family and moved to the UK. Fairly shortly after that her son was diagnosed autistic, which prompted an intensive study into causes and treatments of autism. It was during this time that Dr. Campbell-McBride developed her theories on the relationship between neurological disorders and nutrition, and completed a second Postgraduate Degree in Human Nutrition at Sheffield University, UK. She practices in the UK as a nutritionist and not as a medical doctor. 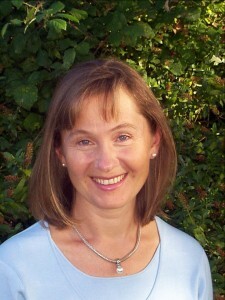 Dr. Campbell-McBride used to run the Cambridge Nutrition Clinic until recent years. Having trained more than three thousand Certified GAPS Practitioners around the world, Dr Natasha has closed her clinic in order to focus on writing and teaching. As a nutritionist she has specialised in using nutritional approach as a treatment, and has become recognised as one of the world’s leading experts in treating children and adults with learning disabilities and other mental disorders, as well as children and adults with digestive and immune disorders. In 2004 she has published her first book Gut And Psychology Syndrome. Natural Treatment Of Autism, ADHD, Dyslexia, Dyspraxia, Depression And Schizophrenia where she explores the connection between the patient's physical state and brain function. The book gives full details of the GAPS Nutritional Protocol, highly successful in treating patients with learning disabilities and other mental problems. In her work Dr Natasha came across many young people who have chosen a plant-based life style and, as a result, became very ill. This prompted an intense study into the value of plant foods versus animal foods. The result of that study is her book Vegetarianism Explained. Making an Informed Decision. Dr Campbell-McBride gives a full scientific description of how animal and plant foods are digested and used by the human body. 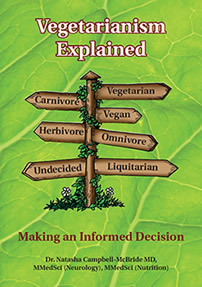 This book is an essential read for those who are considering a plant-based life style, so they can make an informed decision. Dr Campbell-McBride is a keynote speaker at many professional conferences and seminars around the world. 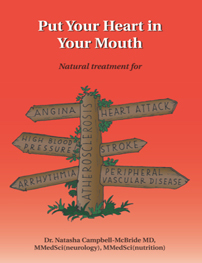 She frequently gives talks to health practitioners, patient groups and associations. She is also a Member of The Society of Authors, The British Society for Ecological Medicine, and is a Director on the Advisory Board of The Weston A Price Foundation. She has contributed to many books on nutrition and is a regular contributing health editor to a number of magazines and newsletters.